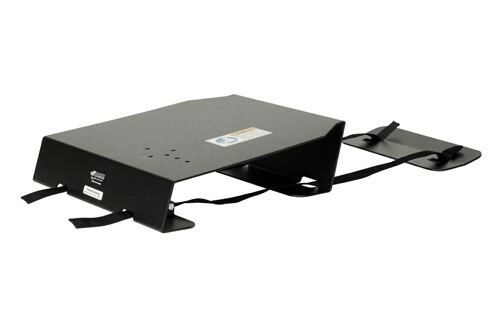 Vehicle Bases secure the entire mounting system to the vehicle. Some vehicle bases are "custom bases," designed to fit a certain vehicle and attach using the existing seat bolts, while other bases require drilling. A lower tube is typically attached to the vehicle base; if one is not already welded to the vehicle base, you will need to order one separately.